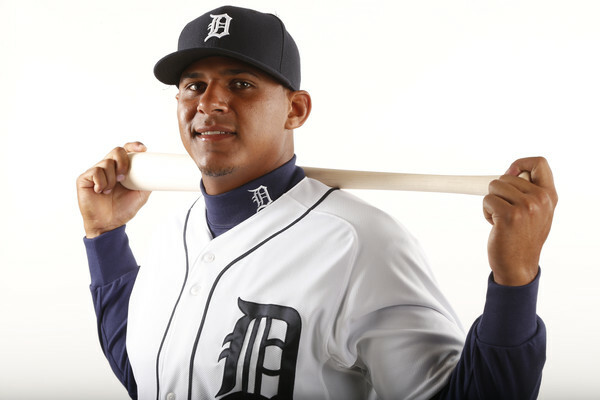 With Miguel Cabrera going down with a calf injury which will keep him out 6-8 weeks, the Tigers have turned to a carousel of first basemen which have included Alex Avila, Andrew Romine, newly acquired Marc Krauss, and rookie Jefry Marte. Marte, is a 24-year old right handed hitting third baseman from La Romana in the Dominican Republic. Jefry has played with three organizations including the New York Mets, who he signed with as a free agen in 2007 when he was 16, Oakland (traded for Collin Cowgill), and now the Tigers who signed his as a Minor League free agent this past November. A .258 career hitter in the minors, Matre progressed his way up to AA Bignhamton in 2012 before being traded to Oakland in Double-AA El Paso and Midland the past couple of years. Detroit assigned Marte to Toledo in 2015 where he’s had his best season to date with a career high 13 homers and approaching his career high 58 RBI with 55 already. The cons will be hitting for average and strike outs, while the pros will be his extra base power and ability to play corner infield spots.